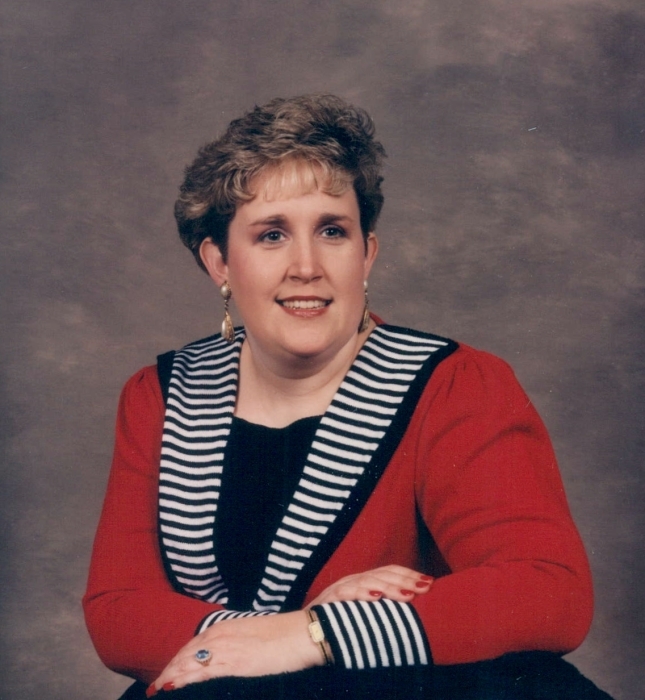 Lois Jean Layne, age 57 of the Joyner Community, departed this life on February 12, 2019. She bravely fought a year-long battle with cancer that ended at Methodist Medical Center, the place she began her life’s journey on August 11, 1961. Lois will be greatly missed by everyone her life touched- especially, those with whom she attended church and by all her former and present co-workers. But mostly, our “sweetie pie” will be missed by her family. She is survived by her mom and faithful care taker, Judy; dad, Bill; brothers and their wives, Darrell (Lisa) and Rusty (Tracy) and her nephews and nieces, Adam (Michelle), Zachary, Natalie and Jordan; great-nephews, Hayden and Bryson; surviving maternal aunts and uncles, Ralph (Sueanne) Liles, Fema (Bobby) Weiford, Carolyn Liles and Jerry Long; special friends, Judy Byrge, Lisa Duncan and Susan Bates. She is also survived by so many friends and extended family members that are just too numerous to name. Lois was preceded in death by lots of friends and relatives that we are sure are happy to see her. Lois accomplished so many things during her 57 year life. Some of the things she was most proud of were her almost lifelong job of being pianist at Petros Baptist Church, earning her Master’s Degree from Saint Francis University in Health Services Administration and being the former president of the Tennessee Society of Radiologic Technologists. She loved music and enjoyed singing in various choral societies. She really enjoyed her jobs in the medical field because she liked helping people. She loved her nephews and niece never missing a game or event if she could possibly be there. Lois loved Christmas and liked being known as the Christmas Lady at her church. She was a selfless person who enjoyed helping others. Just saying that Lois was a wonderful person who will be greatly missed is not enough, but we think if she could tell us one last thing, it would be that she loved you, baby, and that she was so sorry that she had to go. The family will receive friends Saturday, February 16, 2019 from 12:00-3:00 p.m. at Lois’ favorite place; Petros Baptist Church with the funeral to follow at 3:00 p.m. with Dr. Don Long and Dr. Jim West officiating. Interment will follow in the Union Cemetery in Joyner.